Translation Loss Records are proud to announce the signing of WAKE. The Calgary, Canada grind legion will release their blistering new album, ‘Misery Rites’ through Translation Loss in February 2018. ‘Misery Rites’ was recorded, mixed, and mastered in 2017 with Dave Otero at Flatline Audio (KHEMMIS, PRIMITIVE MAN, COBALT). WAKE guitarist Rob LaChance reveals their vision for ‘Misery Rites’; “musically, the vision of the album was to take what we did on ‘Sowing The Seeds of a Worthless Tomorrow’ and make it darker and more oppressing. I think having Dave Otero on production helped capture a lot of what we were going for. Dave is a very talented guy and one of the best engineers in the game right now. Recording in Denver also made it easy for us to have our good friend Ethan McCarthy (PRIMITIVE MAN, VERMIN WOMB) do some vocals on a few tracks”. ‘Misery Rites’, WAKE’s sophomore album, takes a harsh, crushing look into the deep, interdimensional corners of intimate struggle. 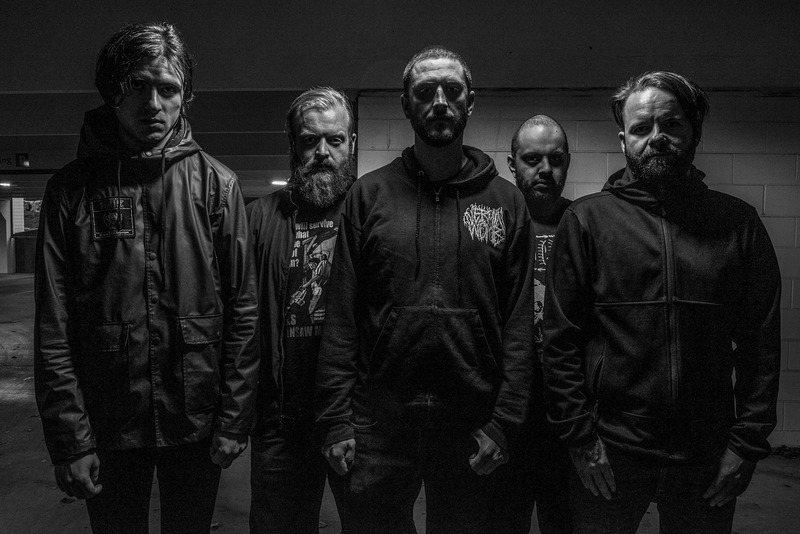 Vocalist Kyle Ball explains, “‘Misery Rites’ is a concept that contains personal struggle with depression, addiction and isolation. It also follows a theme of cycles, the main cycle being the metaphorical killing of the person you hate being only to eventually end up back in the same place, just to start the cycle again. There are a couple songs that fall out of this theme… one is a song about the human arrogance of feeling so important that that there needs to be some sort of afterlife when really we’re nothing but a cosmic joke that will be soon gone and forgotten”. WAKE have been touring extensively since their 2009 formation. WAKE plan to unleash a full US & Canadian tour, scheduled around the release of ‘Misery Rites’.